I believe that the way to move forward is to work toward an Islamic Economic Union. The steps that must be taken are many, but it begins with a strong will and a vision to positively transform current conditions in the Muslim world. Certainly, the primary impediment to moving toward the Islamic Economic Union is represented by Muslim elites in present nation-states that have total control of existing national markets and resist exploring alternatives out of deep-seated greed, fear and mistrust. Additionally, most current Muslim elites are connected to the economies of their ex-colonial motherlands, and development strategies are mostly regulated by this. Here, the move toward an Islamic Economic Union is a double-pronged process, both internal and external, to be undertaken by governing elites in Muslim majority states. Should this process be done, basic economic assumptions underlying each national economy will be reshaped. CLICK HERE to read the full article. The author has emphasised that we have a problem where our analysis is delinked from our reality as human beings. Economics should not be treated as the exclusive study for the problems of man. It is true that man needs to acquire the basic necessities to survive and he has a need to earn a living. However, he also has a psyche and an emotional aspect with the desire to procreate. He has a spiritual aspect that should also be satisfied and he cannot be oversimplified. Rather, the entire human being must be taken as he is and we cannot take only the study of Economics as the sole basis to solve societal problems, just as we cannot take Psychology as the only study to resolve the problems of man. With this, the author emphasises an extremely important point- i.e. the Islamic Economic System cannot work independently being an isolation of the entire Islamic system which acts as a framework and a structure of all the Islamic morals and laws that are to be upheld in a state. CLICK HERE to read the full article. Future Islamic Economics will be calling for five strategic changes in approach: Family rather than the market as the starting point in economic analysis; Cooperation playing a greater role in the economy, complementing competition; Debts playing a subsidiary rather than the dominant role in financial markets; Interest and interest-bearing instruments playing no role in money creation and monetary management; and, lastly, Maqasid based thinking supplanting analogical reasoning. CLICK HERE to read the article. With Fiat currency (especially the US-dollar) expected to lose value, gold and silver have proved their worth once again. In times of crisis gold is, in effect, the world’s reserve currency, as it can be trusted to hold its value. This paper argues that gold is not just for times of crisis but should be the monetary base of choice to ensure financial integrity, economic stability and sustainable growth. 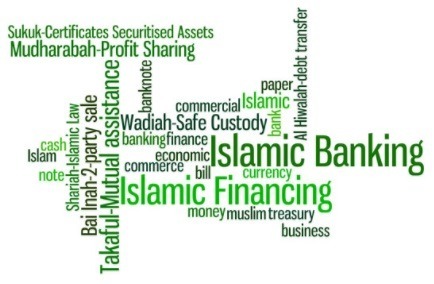 While it is not surprising that Islam’s viewpoint on money is the use of gold and silver with 100% reserve backing, this paper sets out, then refutes, the ten main arguments cited against the Gold Standard in light of recent and historic precedence. 1. The charge that only the Fiat monetary approach, with its cheap credit and endless currency creation, can mitigate the business cycle is a disingenuous argument given that it is its cause. 2. At the heart of the criticism of the Gold Standard is the aversion and irrational fear of deflation. Flexible labour markets are a necessary condition to counter the negative effects of falling prices in product markets enabling businesses to remain competitive/profitable under deflationary conditions. 3. The evidence on inflation, for the UK at least, is clearly at odds with the argument that the Gold Standard causes deflation. Between 1800-1914, UK prices were almost as likely to fall as to rise, when average annual inflation was close to zero. 4. The real problem is not that there is too little Gold, but the fact there are too many dollars. 5. Whilst the production costs of paper may be regarded as negligible compared to the costs of extracting, mining and transporting gold, it’s the total costs to society of Fiat money that are considerable. 6. The Gold Standard is not compatible with the Fiat system, and to be effective it requires a non-interest based economy. 7. Islam makes a 100% reserve currency obligatory, not optional. This is based on various Quranic textual evidences. 8. Islam obliges a full gold/silver system, whose discipline allows for balance of payments adjustment without the intervention of central banks. 9. The benefits of the Gold Standard are manifestly profound: a system of stability without major cyclical effects; independent of government manipulation; devoid of inflationary fiduciary issue, currency debasement, international crisis and long-term balance of payments deficits. The only system of governance that unequivocally insists upon the Gold Standard as a benchmark is the Islamic economy, as applied by the Islamic State (Caliphate). In Islam a dual metallic standard with gold and silver is applied. No fiat money would be issued by the state, and any paper currency must be 100% backed. Gold and silver are both ideal as mediums of exchange: they have intrinsic value (including jewellery and industrial use), are widely available, cannot be dominated (monopolised), and there is a regular, yet growing supply of them to meet the needs of growing economies. The financial crisis has exposed just how much fiat currency systems are at the mercy of the banking system, making phenomenal profits while exploiting wider society. By contrast, Islam provides a non-interest environment in which there is less incentive to take money out of circulation. CLICK HERE to read the full document.